Sometimes if you need to run heavy operation but afraid that it might affect performance day of the system, you can use following trick with scheduler. 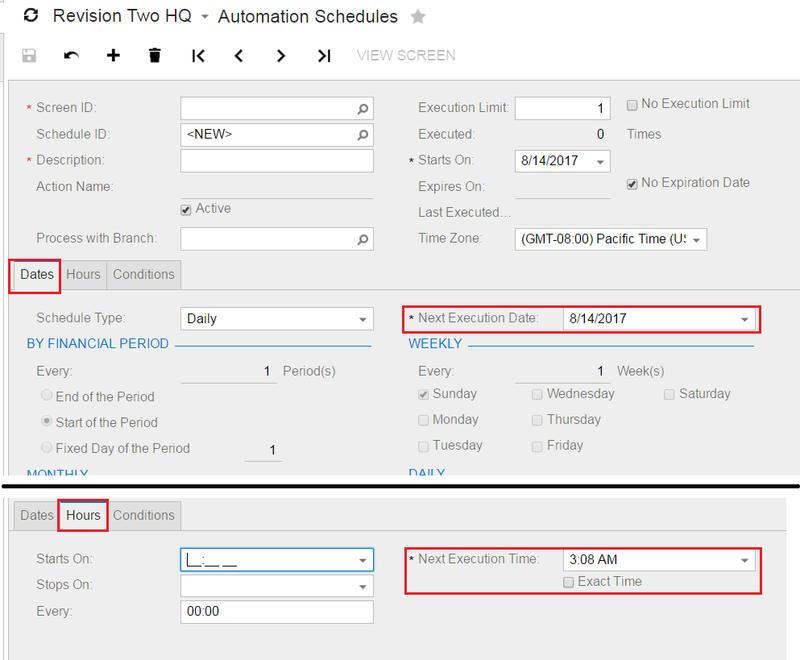 In Acumatica, Automation Scheduler can be scheduler to run only one time at the specific date and time. Please note that exact day is specified on Dates tab and exact time on Hours tab. Just note, if there is any error, you’ll need to check that manually. As for now Acumatica does not sends any notification on failed scheduled action. 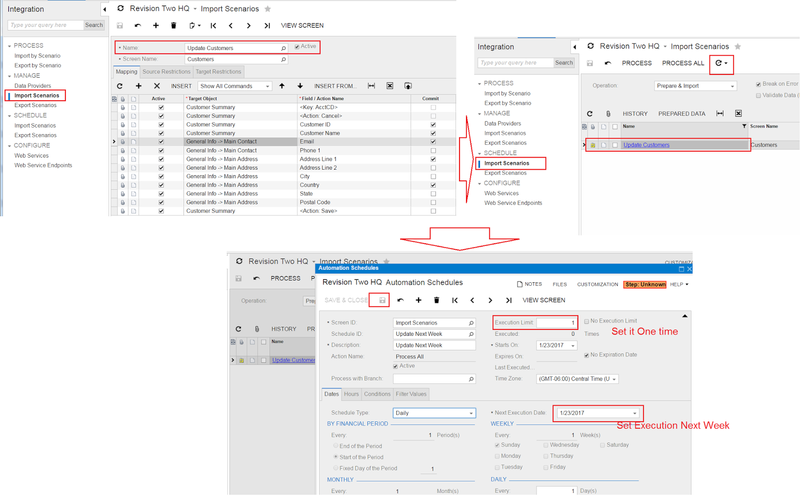 To solve that issue you can create a dashboard that will shot you status of scheduled tasks. Also note, that task may not be executed if Acumatica is not stand by at that time. Make sure that your application server is not configured to suspend W3WP process (that is IIS process that hosts Acumatica) in case of inactivity. You can check that article to find how to do that. Hope it helps and have a nice weekend!